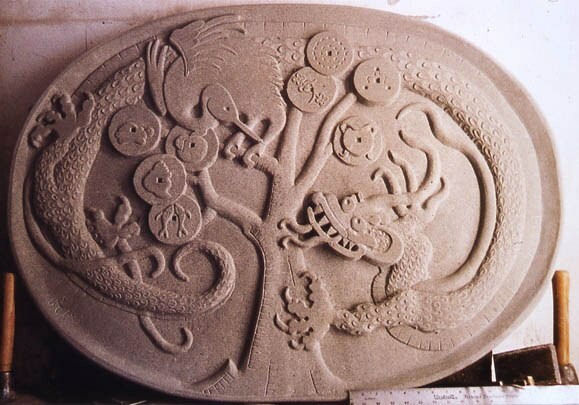 Relief Carving is a particular sculptural technique where the elements of the material remain attached to the solid background of the same material. The term relief is from the Latin verb ‘relevo’ meaning to raise. In order to create a sculpture in relief, it has to give the impression that the sculpted material has been raised above the background. 1. Low Relief (basso-relievo or bas-relief) where the sculpture is only slightly raised from the background surface. A low relief or bas-relief from the Italian ‘basso rilievo’ is a sculptural relief with a shallow overall depth. 2. High Relief (alto-relievo or alto-relief) is where the sculpture is raised at least half or more from its natural circumference from the background. In a high relief, the forms project at least half or more from their natural circumference from the background and may in parts be completely disengaged from the ground. 3. Middle-Relief (mezzo-relieve) is where the relief falls in between the high and low relief forms. 4. Sunken Relief (incised or intaglio relief) is where the carving is sunk below the level of the surrounding surface. It is contained with a sharply incised contour line that frames it with a line of shadow. The surrounding surface remains untouched with no projections. Sunken relief carving is found almost exclusively in Egyptian art although it has also been used in some small ivory reliefs from India. 5. Statiacciato Relief (Rilievo schiacciato) is associated with the 15th century sculptor Donatello. This design is created with fine engraved chiselled lines and carved in relief. 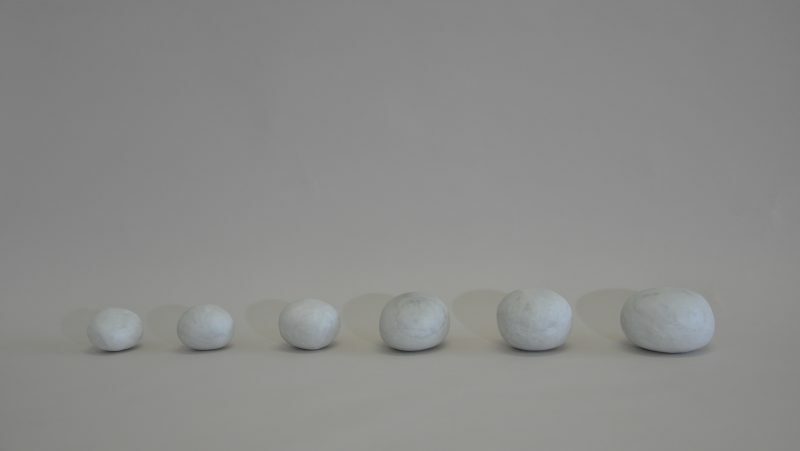 It is dependent on the pale-coloured materials such as white marble which react to light and show up the delicate lines and changes of in the texture. Reliefs may also be abstract in style as well as representational and figurative. Abstract reliefs have been found in many different cultures including Ancient Greece, the Celts, Mexico, the Vikings, and Islam. 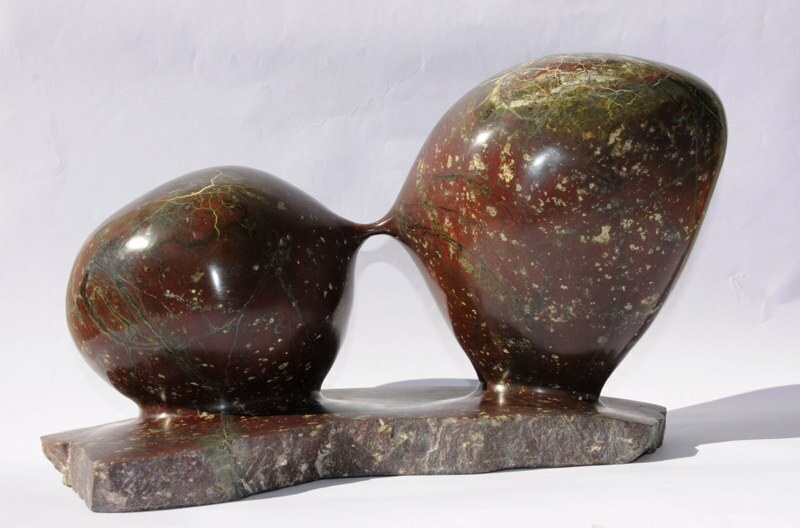 Representational and figurative sculpture is strongly associated with the Greeks, the Romans, Romanesque and Gothic architecture and European sculpture from the Renaissance onwards. In the Italian Renaissance, Lorenzo Ghiberti created the magnificent bronze doors of the baptistry for the Cathedral in Florence, Italy. There he used both high and low reliefs which illustrated the use of space and created an illusion. From then on, Italian Relief Sculpture began to be either delicate low reliefs in marble or terracotta or more robust sculptural reliefs which were then later used by Michelangelo. Famous examples of reliefs include: Mount Rushmore National Memorial, Keystone, South Dakota in high relief. Great Altar of Pergamon, now at the Pergamon Museum, Berlin which is mostly in high relief. Lions and dragons from the Ishtar Gate, Babylon in low relief. 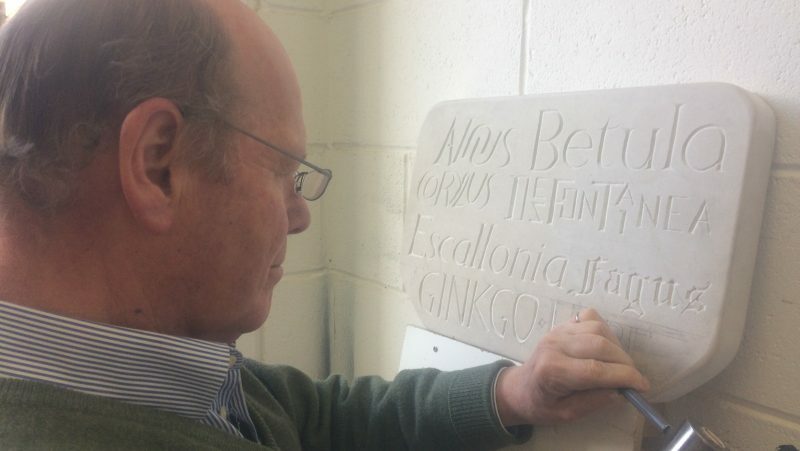 If you would like to learn the techniques for Relief Carving in Stone or Marble, Simon Burns-Cox offers a range of courses throughout the year at his studio at The Edinburgh Sculpture Workshop in Edinburgh, Scotland. For further details, please visit Simon’s website at www.simonburnscox.co.uk or contact him at info@simonburnscox.co.uk.